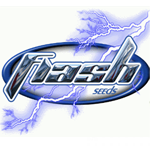 Flash Seeds are the new quality seed bank and one in which you can trust. The Flash cannabis seed breeders are exclusively professional with several years of experience in AUTO FLOWERING cannabis seeds. Flash Automatic Seeds are proud to provide our world with novel new SUPER AUTO strains. This breeder is one of the most recognised in the world of cannabis forums, the public know him for his work and his success.